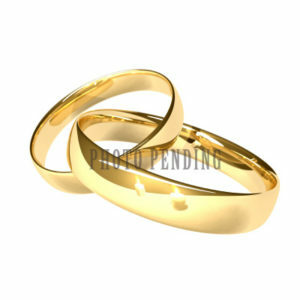 Are you looking for an amazing way to entertain your guests during your wedding? 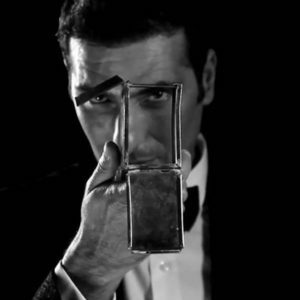 If yes, then close up magic is the right choice for your event and international award winning magician Brian Role is the perfect magician to provide it for you. 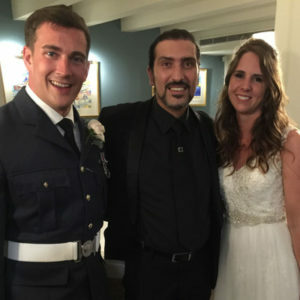 Brian is based in Malta, a popular destination amongst many foreign couples seeking a beautiful setting and mild climate for their dream wedding. .
Brian performs not only in Malta, but has been sought to perform in many countries across the world. As a matter of fact, Brian is prepared to travel across the globe to be able to share his amazing magic wherever requested to do so. Whether booked in Malta or elsewhere he is ready to provide you with a professional service from the moment you get in touch with him with your request. Booking his service that comes with a unique personality is only limited to his availability, but fear not, like magic, sometimes nothing is impossible . The expectancy of a magician has changed a lot over the years, people expect amazing things from the modern magician of today. Brian Role has acquired the special skills required to perfect his art by performing daily on a professional basis for several years. He has turned his art into an entertaining and amazing magical performance that people will remember long after witnessing his magic. Brian dedicates all his time to providing the ultimate magical experience guaranteed to astonish and amaze but most importantly entertain you in a pleasantly surprising modern manner. A Multi Award Winning Career. What began as a humble hobby, many years ago in a small island called Malta, has turned into a life long full time professional career, continuously taking Brian to many beautiful locations worldwide to perform his amazing magic. His achievements have been awarded on different occasions with his highest award being the most prestigious award in magic, ‘The International Magician’s Society Merlin Award’. 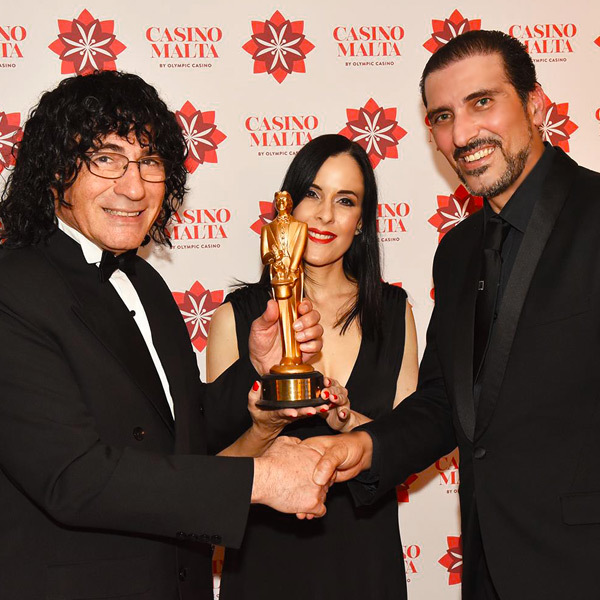 Brian Role is the only magician in Malta with his own ongoing regular show productions where the public may purchase tickets to come and see him perform. Showing on a weekly basis – A highly acclaimed dinner and show experience that has earned various awards and showing on a weekly basis since 2011. Showing on a monthly basis – A high end luxury experience for those in search of finer things and more sophisticated acts, all original and exclusive only to Brian Role. If you are seeking that special something to make your day as memorable as possible for you and your guests, then you are at the right place. Close up magic is the best form of wedding entertainment in Malta or anywhere in the world. The range of magic Brian Role provides varies from the traditional pack of cards to the ultra-modern close up levitation illusions. Be sure to expect something in there for everyone to enjoy and appreciate. “My audience and what I offer them is very important to me, and I am deeply committed to making sure they not only get what they would expect from a magician, but much more!” Brian Role. 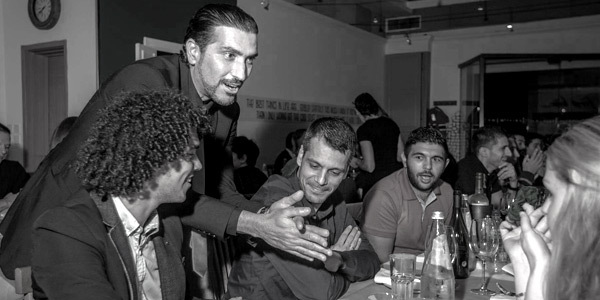 During seated lunches / dinners, close up magic is provided to those guests who are in between courses. Brian will go from table to table providing amazing feats up close and personal. The approach is non intrusive and Brian will stay clear of guests who still have food on their plate or who are undergoing important conversations. Best form of wedding entertainment in Malta. 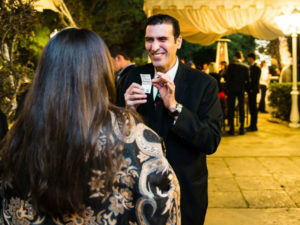 Magic especially created and designed for those events where guests are standing (reception style) usually in small groups. Brian will stroll and mingle amongst the groups offering breath-taking magic that takes places amongst the group or for an individual or couple. Nothing can come closer than magic happening in your own hand! Those grey moments may include but not limited to: Prior to the arrival of the wedding couple, during photo sessions, post dinner before cutting of the cake, prior to dinner, during the dancing period for guests who are not interested in joining in dancing and for whatever other reason you may think that guests may need to be entertained so they will not feel bored.